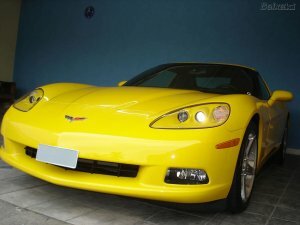 The Chevrolet Corvette is a sports car that has been manufactured by Chevrolet since 1953 (yes, it is a very old serie of cars). Today it is built at a General Motors assembly plant in Bowling Green, Kentucky, but in the past it was built in Flint, Michigan and St. Louis, Missouri. It was the first all-American sports car built by an American car manufacturer. 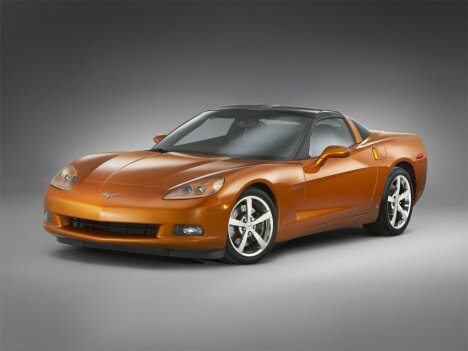 The National Corvette Museum and annual National Corvette Homecoming are also located in Bowling Green, Kentucky. 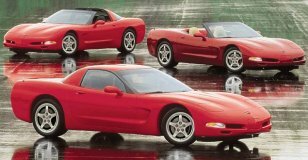 Here we list some things you should know and consider before buy a Chevrolet Corvette, including some known problems. Brakes? Check for fluid leaks. Drum Brakes 1953-1964 - drum brakes are simple and easy to work on. Normally they pull or don’t work. Both are simple to fix. Parking brake? In ‘53-’64, they are part of the rear drum brakes and simple. In ‘65-’82 they are a separate brake inside the tophat of the rear rotor and hard to work on. Frame? Check for soft spots on side and cross near rear of seats. Reach under with hammer and tap for a ring rather than a thud. Frame rust is common as these cars were originally driven daily in all weather. So determine the difference between normal rust and rust-out. The rear section where the frame kicks up and the trailing arms attach is the most common bad areas. Tapping with a small hammer should produce a ring or metallic sound. A thud indicates heavy rust or even flaking. A dent indicates bad rust and of course a new hole means problems. In a full restoration, you will be pulling the frame anyway. As such, repairs can be made without too much difficulties or even full frame replacement. There are six and time consuming to replace on the side of the road. You can see four of them in the picture above. Wheel bearings? In the ‘63 up models, they are special. Rear wheel bearings require special setup. They require special tools to get them apart. They should be greased every 25,000 miles but few do it. Odds are you will experience a failure if they have not been replaced. carpet show water stains? Hard and crusty feel? straight or crooked body lines? right pieces (correct hood?) or doesn’t matter? You get the idea. Be sure to check out correct ’66s before you look at a ‘66 to buy so you know what is right and what is wrong. A hood can look right even when wrong and often look better (which is why so many run a ‘67 big block hood). In the heat of passion, the car of your dreams inches away, the seller slowly seducing you, it is hard to remember that the hood support was on the other side, or the gas cap is for another year, or the seats are the wrong style. All of this can mean a difference in the price you should pay. You also have to determine what your intentions are. A fun car can be anything you want but you may find the pressure to show or restore too strong and also find the one you buy to be much more expensive in time and dollars than if you buy one closer to what you want. Or you may discover you only want to run hard and play, like with SCCA Solo II (autocross) or NCCC, in which case a restored car is NOT what you want or need. 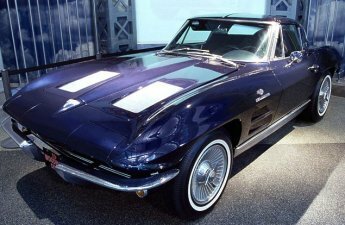 Many buy a Vette because they want a Vette - period. They don’t know what they want to do with it. They don’t know what year they want. They don’t have any idea what they will use it for, but they want it. Basically, Corvettes fall into two categories today. That is oversimplifying, but somewhat true. Most fall into the restored category, either according to NCRS rules or Bloomington Gold rules, or in the Driver/Custom car category, where originality is not important. You could look at the Driver category as having many sub-categories, such as the drag racers, the road/solo/NCCC racers, the semi-customs, the full customs, the just plain fun cars, and the street racers. This entire group would be likely to have non-original engines, transmission, paint color, and even body work. Glance through this table to help decide where you wish to be.